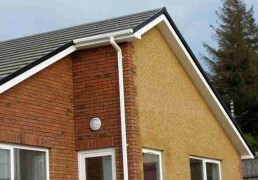 A roof verge is the open edge of a roof that meets a gable wall. Generally, a verge occurs and the roof projects beyond the wall. Casey’s Roofing stock Dry Fix systems from Redland, Marley and EPS. Ask our team for advice on the right system for your roof. ally fixed, mortar-free verge that eliminates the need for an undercloak. 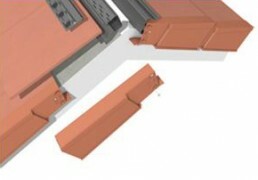 The components that make up the Ambi-Dry Verge System comply with BS 5534: 2003. 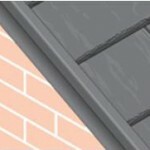 European Plastics Ltd produce the Continuous Dry Verge System, which gives complete protection & continuous watertight cover to your property against water penetration between tiles and brickwork or bargeboard at gable ends, giving greater security to the verge.